I haven't done an outfit post since a very long time. So, I decided to take time out and ask my sister to click some pictures during my recent trip to Konkan. Yes! The beautiful coastal region of Maharashtra where people like me are allowed to go berserk on Mango based dishes, Jackfruits, Cashewnuts, Coconut water and more. You may think, 'Wow, That's a lot of calories', but I believe that when you are Konkan, never miss out on these amazing things. After all, the Konkan region is home to the original, pure Alphonso Mangoes (Unlike the almost there alphonso mangoes that you get in Mumbai, these are 100% organic & they taste heavenly) and all the other food items I mentioned earlier. Now, let's talk about the outfit. Every year during Summer, I experiment with different colors. Be it apparel, accessories, shoes etc, I like to dress up mixing up colors in my outfit. Plus this year, the neon trend gave me a chance to experiment further with different neon shades. I got myself a Lime Green Cardigan and I've been in love with it since then. The material is extremely comfortable. Another product is the NYX addis abiba lip creme, which is an almost neon pink shade. Apart from the usual neon stuff, I found a super comfortable pair of pink pants at Chemistry. Not only can they be used for an casual outing, but I can dance in them too. So, on the 3rd day of our trip, I decided to play with some colors here and head to the Ganpatipule temple and beach in style. The aim was to incorporate my favourite colors in the outfit and still feel comfortable. Also, I got a beautiful aquamarine necklace and decided to give it a try along with this outfit. The outfit post is named 'Colors are the smiles of nature' as it's one of my favourite quotes by Leigh Hunt. After the mini photo shoot at the Aarey warey point and a refreshing glass of Kairey Panhe (Seasonal raw mango drink), we got back into the car to reach Ganpatipule before sunset. I wanted to click a couple of pictures on the beach as well. First, we took Ganpati Bappa's blessings in the beautiful temple and then, decided to hit the beach. In these pictures, you can notice a small 'Tikka' on my forehead as well. It was almost time for sunset by the time we touched the beach, thanks to the fact that both me and my sister were busy buying accessories. Luckily, we managed some shots. Quite a few good pictures were not fit for the blog as there was not enough light, but here are a few that just managed to make it here. Have you invested in a pair of colorful pants or shorts recently? Priya, you are so cute and pretty here, absolute love! I love the explosion of colours, perfect for summer! Hi Priya, I love the entire outfit...I love Kokan, since I belong to that place, A visit in summer's is a must to unwind near the coast. Even we have put up a post on Kokan in April, do check out. Glad to meet another Konkan lover! :) I go there every year to relax and visit all the temples. Have fun! 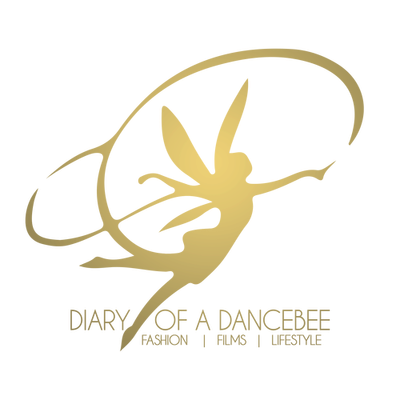 Priya Adivarekar - Founder and Creative Director at Diary of a Dancebee. She is also a renowned Voice Actress and award winning artiste, with serious passion for dance. When not working round the clock, she can be seen reading, enjoying a movie-binge or listening to music.